The French Riviera—the southeastern coast of France—attracts backpackers and budget-busters year-round to its best coastal towns for good reason. This part of the world boasts some of the finest cuisine, climate, and culture anywhere, which together produce a whirling je ne sais quoi so sought after by the likes of F. Scott Fitzgerald and Picasso. There is something here for all tastes and budgets. But sometimes the place’s popularity makes it difficult for Riviera-goers to make sense of it all and get past the tourist traps and throngs of selfie-stick wielding visitors. This is your concise guide to four of the best coastal towns of the French Riviera. 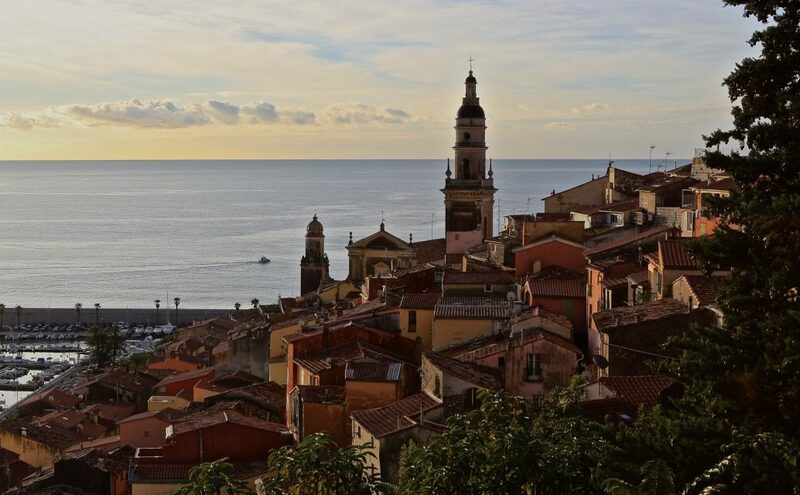 About a mile from the Italian border, Menton, nicknamed the Pearl of France, became popular with Victorian-era European nobles who sojourned here because of its over 300 days of sun per year. Queen Victoria herself made several stops, and you can see the inventor of rugby’s tomb, too. Go early to the covered market (closed Mondays) in the center of town to pick up breakfast. Built in the intricate Roman style in 1898, you’ll find merry locals selling fresh fruit, vegetables, meats, and cheeses, and the atmosphere is charming and lively. Next, head across the street to the Jean Cocteau Museum (€7,5-10), an interactive space dedicated to this famous French artist, poet, and filmmaker (think Beauty and the Beast, 1946). 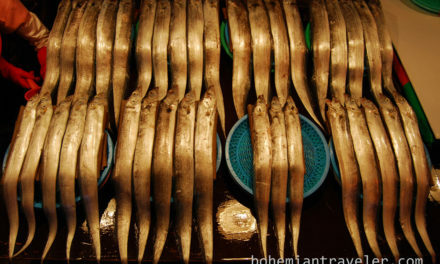 Learn about all kinds of affairs, scandals, secret artist societies, and of course, art. While the museum is in a blindingly white modern building, Cocteau himself actually set up shop in the 17th-century fort in Menton, included in the ticket price and fun to walk around. 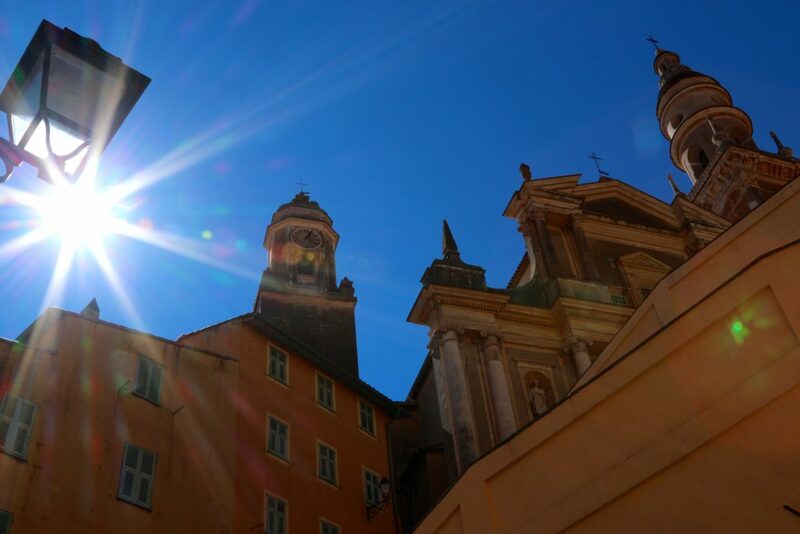 After the museum, take a stroll in Menton’s charming old town. 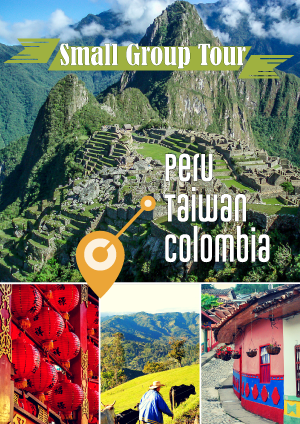 Quiet and often overlooked by tourists, it offers a maze of stone streets and tall and colorful buildings, along with shade. Zig-zag up to the cemetery perched at the top to take in sea, mountains, and the tiled roofs of the town. For lunch, Braijade Méridiounale offers the freshest food around in a quiet and cool setting in the old town, and the chef/host won’t let you leave without trying his homemade liquors. After lunch, step into Saint Michael’s Basilica, down the street from Braijade, and take in the majestic baroque architecture and paintings. Your next stop is the Annunciation Monastery, a 45-minute uphill walk to the first ever building of Menton. Your reward is the best view you’ll get of the area. Then indulge in some beach time at any of the public or pay beaches. For dinner, splurge at Michelin-starred Mirazur, near the Italian border, or head to any of the local places in town. Literally, “nice place on the sea,” Beaulieu-sur-Mer is just that. Quieter than its neighbors Menton, Antibes, and Cannes, even during high season, Beaulieu is often bypassed, making it a perfect getaway only 10 minutes by train from Nice. 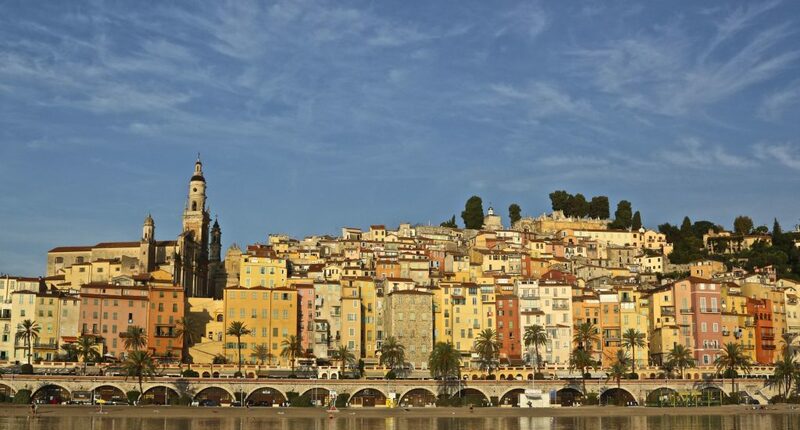 Unlike much of southern France, the town offers well-polished and well-renovated stately buildings, reminding visitors of Paris and contributing to its elegance. Start with breakfast at any cafe, preferably at a table on the sidewalk in good French fashion. Another option is to grab a croissant at any boulangerie and munch it while watching early-morning tennis players on clay courts in the center of town, or on a bench next to the small port. 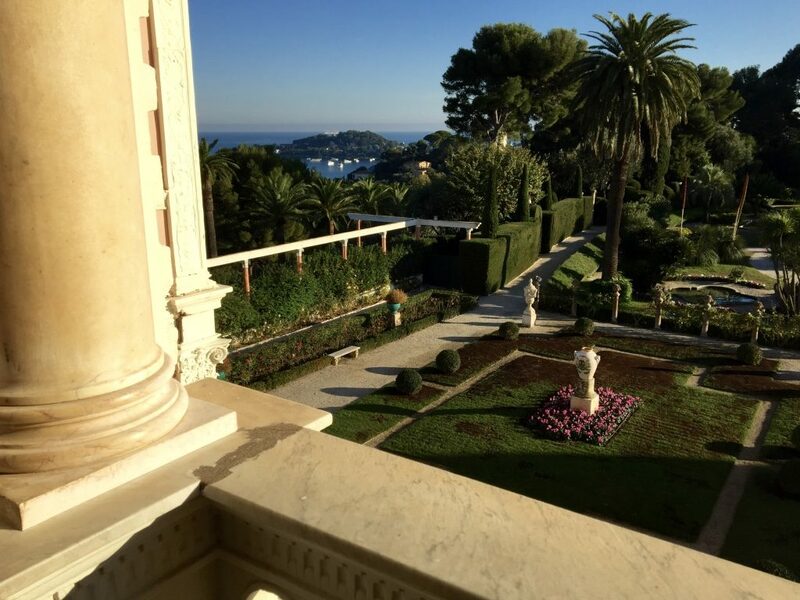 After breakfast, walk about 20-25 minutes west along the sea to Saint-Jean-Cap-Ferrat, nicknamed “billionaire’s playground,” to the Villa Ephrussi de Rothschild, a former residence of the powerful Rothschild family. Visit the villa and stroll the spectacular gardens (€11-14). Lunch on quiche, fresh greens, and homemade dessert in the villa’s original dining room. Back in Beaulieu proper, take a turn round the port, pass Gustav Eiffel’s summer residence, and enter Villa Kérylos (yes, another villa). This one-of-a-kind mansion was built and furnished entirely in the style of wealthy ancient Greek families by French archaeologist and politician Theodore Reinach in the early 1900s. It’s well worth the audio-guided tour (€8-11,5). Finally, treat yourself to (surprisingly affordable) dinner at La Réserve, or be a king for an evening at Michelin-starred Le Restaurant des Rois, opened in 1880. Home of the eponymous film festival, Cannes earns its place in the best coastal towns of the French Riviera through more than cinematic fame. Like most of the Riviera, but here especially, summer heat and crowds can be oppressive. 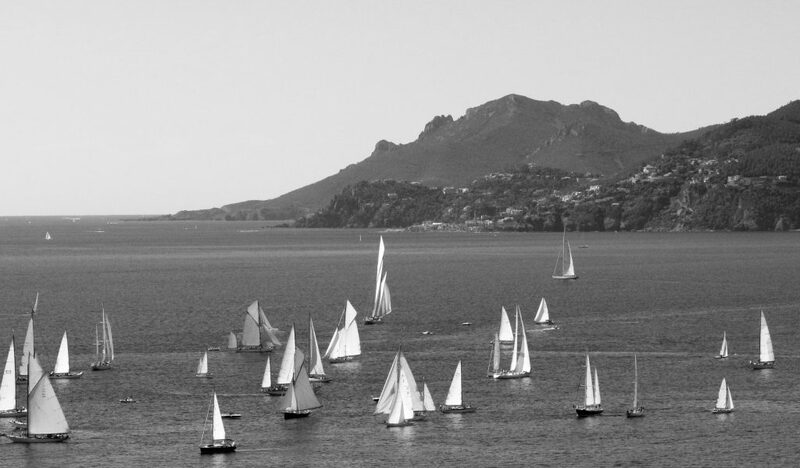 Definitely try to make it in September, for example, when the electrifying Panerai Classics Yacht Regatta takes place. Get there early, ask nicely, and you can pose at the helm of JFK’s very own Manitou. After making a round of the port, climb to the top of the old town to watch the boats race into the bay. When you’ve had your fill of the view, turn around and enter Cannes Castle, now a small museum (€3-6) with a surprisingly diverse collection of everything from Eskimo canoes to French Medieval armor. And don’t forget to clamber up the 12th-century tower for more great views. On your way down to the port, buy a couple sandwiches to keep for lunch. Hop on a boat for the 10 minute cruise (€10-15) to Ile Sainte Marguerite, and settle down against some pine trees for your picnic. Explore the island on clear trails, and end up at Fort Royal, where it is said the legendary Man in the Iron Mask was imprisoned. Don’t miss the Musée de la Mer (maritime museum, €3-6,5) in the fort, and bring your camera or binoculars, as the island is a popular spot for migratory birds. And don’t forget to get back before the last boat. 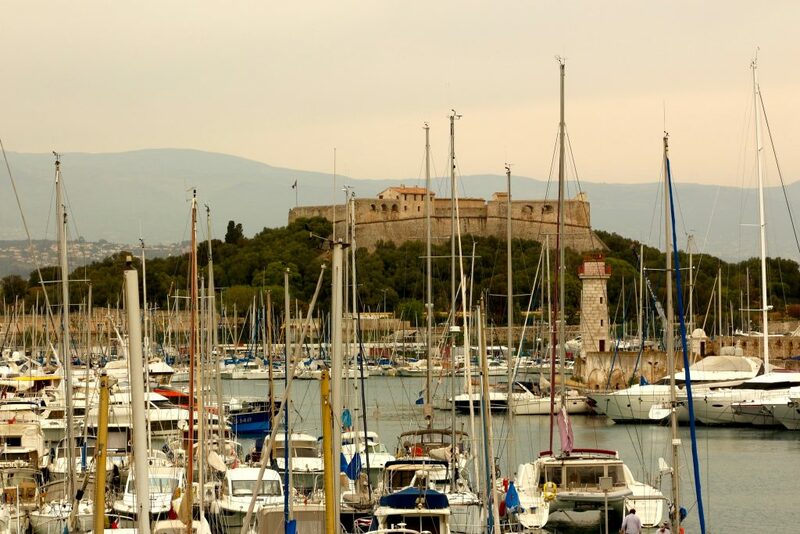 Named after the Greek town of Antipolis upon which it is built, Antibes is today famous for its antique stores (and April festival), galleries, and Picasso Museum, as well as being home to the largest yachting harbor in Europe (you know, in case you need to park it somewhere). One of the draws of the town, however, is its military history. The Marquis de Vauban, military engineer of Louis XIV, turned the small fishing village of Antibes into a striking fortified town, bulwark of France’s southern defenses. Much of the defenses are still standing today, and it is easy to imagine oneself as a garrison member just strolling through its narrow streets. The other main draw of Antibes is the rich Picasso Museum, housed in Antibes’s castle (€3-6), showcasing works from the artist’s time in the town. After Picasso, sip Aperol on one of the Riviera’s only sand beaches (most of the region’s beaches are actually pebbles). Spend your evening in the many shops, and dine at any bistrot on the region’s well-known moules-frites (mussels and fries). Later, catch one of the open air summer jazz concerts. For all four Riviera towns portrayed here, Nice airport (NCE) provides the easiest access. Nice itself lies conveniently between Beaulieu and Menton (to the east) and Cannes and Antibes (to the west). 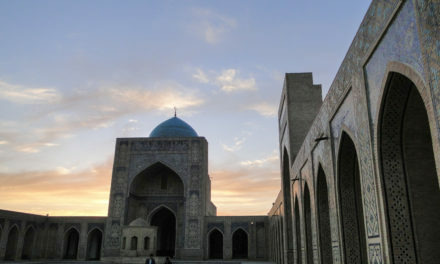 There are daily flights from New York JFK, Dubai, and Doha, as well as plentiful connection options through most European cities. You can also easily get to the Riviera by train from places like Paris, Marseilles, or Milan, Italy. You have two options for getting around once you’ve arrived in Nice. Option one is renting a car, which isn’t great because aside from hefty prices, the roads are narrow and clog easily with traffic during the summer season. In any case, to avoid the biggest crowds, go in May or September if you can. Hotel and flight prices also skyrocket during the summer. Option two is the regional train (TER). 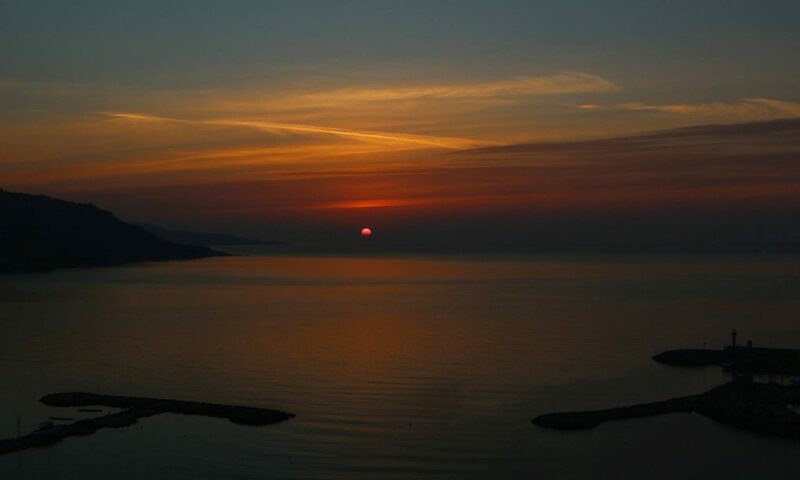 This is the cheapest and fastest way to move up and down the Riviera, great views included. There is a station near the airport (Nice Saint-Augustin), in downtown Nice (Nice Ville), and in every town on the coast. You won’t pay more than €10 to get wherever you want to from Nice, and there are discounts for children as well as day passes. Menton will be the farthest from Nice, about 40 minutes by train.